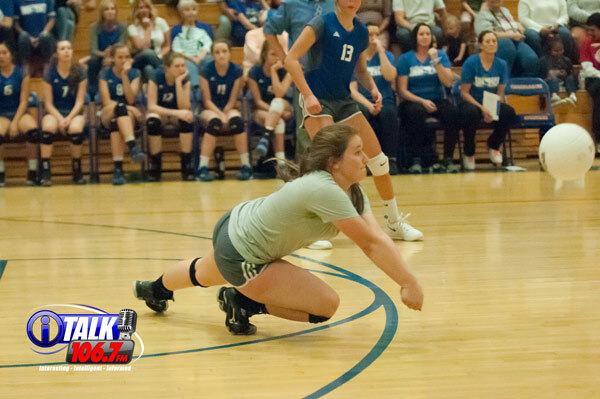 Snowflake, Blue Ridge, and Show Low all made it to the 3A State Volleyball Tournament this year, but Snowflake was the only team to make it past the opening round. Show Low was the #14 seed and had to play one of the toughest teams in the tournament – the #3 Northwest Christian Crusaders. 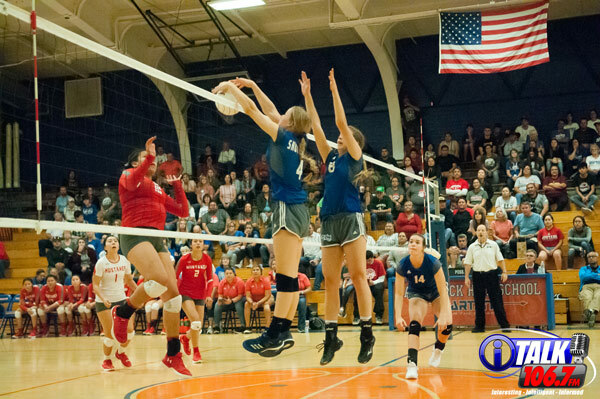 The Crusaders boast 3 players that have committed to play at the next level, and feature one of the top hitters in the state – Reagan Hope – who is second in 3A in kills (493), and third in hitting percentage. Show Low lost in 3 sets; all three by the same score: 25-11. Blue Ridge Junior, Outside Hitter Ellie Berges crushes a ball for a kill during the opening round of the 3A State Volleyball Tournament against Valley Christian. Blue Ridge lost 3 sets to 2. The #4 Yellowjackets suffered a disappointing first round elimination, with an upset by #13 Valley Christian. Blue Ridge appeared to be tense to open the game and quickly fell behind. They were blown out in the first set 25-10, but seamed to regain their confidence in the second set. They won sets two and three 25-22, and 25-21, but their confidence was rocked in set Four losing 25-16. The Trojans got out to an early lead and never looked back in the fifth and final set, pulling off the upset 15-9. Snowflake, Senior, Libero Lanee Penrod digs a hit against Monument Valley during the 2018 3A State Volleyball Tournament. #1 Snowflake had better success on the first day of the tournament, crushing #16 Ben Franklin in 3 sets (25-18, 25-11, 25-6) in the first round and cruising past #8 Monument Valley in 3 sets (25-14, 25-8, 25-10) in the Quarterfinals. 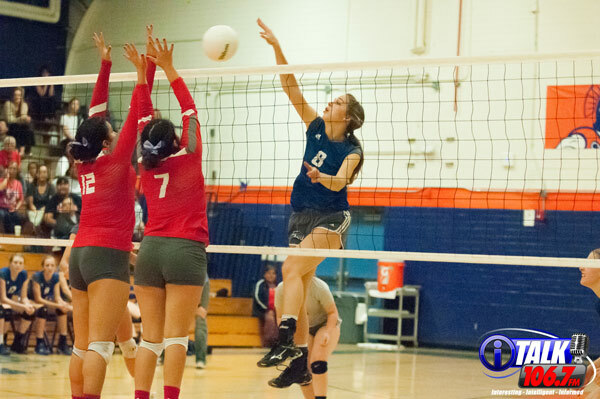 On the second day however, they ran into a very tough AZ College Prep team in the Semifinals who entered the tournament as the #5 seed, and had the offensive power to upset the Lobos in four sets (18-25, 26-24, 25-19, and 25-21). 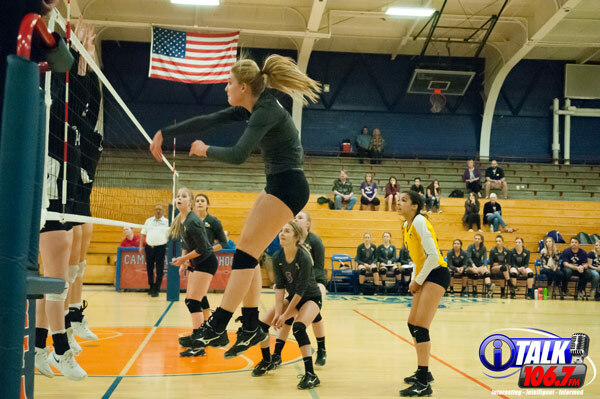 AZ College Prep went on to play Northwest Christian for the 3A State Title and lost in 3 sets to the Crusaders.